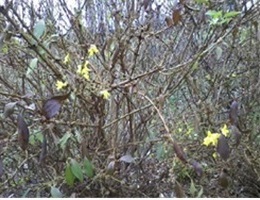 Pat presented us with this picture of forsythia blooming in December. Hers was not the only one that bloomed and we had reports of pansies and violets in bloom, as well. We were finding dandelions in December and many of the spring bulbs were poking their leaves above the soil. Just what effect will this premature blooming have on next year’s blooms? Forsythia forms its flower buds in the summer and they are carried through the winter into the next spring. A very cold winter will often destroy the flower buds and the plant will not bloom in the spring or will bloom only on branches that were somewhat protected from the cold. The same thing will happen in a warm winter when the forsythia blooms out of season. The branches that bloomed will not bloom again, as the flower buds are spent. Fortunately, the forsythia that flowered in December bloomed very sparsely. The flower buds that didn’t open should be there to produce flower in the spring unless Jack Frost gets to them. Pansies, violas or violets will not be affected at all as they bloom sporadically throughout the year. 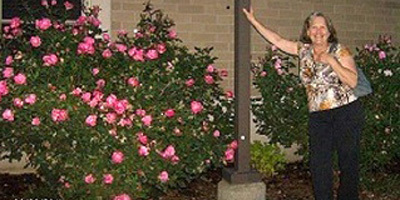 Buds form when conditions are right and the plant blooms. If it gets too warm or too cold the plant stops blooming until the weather again suits it. So blooming in the winter is not going to have any effect on subsequent bud formation. Bulbs form their flowers over the winter. 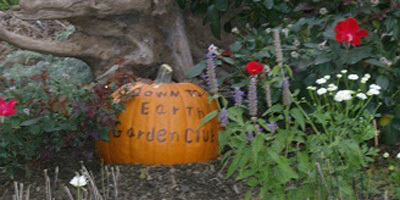 They are formed using the stored nutrients that the plant produced before it went dormant. Bulbs need an extended cold period to produce flower buds so by December when the warm temperatures brought the leaves to the surface the flower buds probably hadn’t been formed. The bulbs spent some of the stored energy putting up leaves out of season and before their buds were formed. The result may be that some of these bulbs will not have sufficient stored nutrients to produce flower buds as the weather cools. 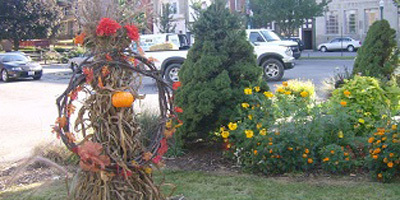 Without the dormant flower buds, the bulbs will not bloom in the spring. Conversely, they may be just fine and the curious weather will not impede bloom. It probably will depend on the size and health of the bulb.